A software update is now available that makes several adjustments to enhance the overall experience. The software version after this update will be 2.1.0, as shown in the screenshot. 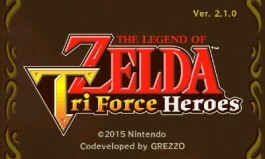 Please note: this update is required in order to use The Legend of Zelda: Tri Force Heroes' online features.